Tanis Saxby is a Canadian sculptor who currently lives in Vancouver, BC. Her works have been exhibited in many spaces and galleries throughout Vancouver,as well as in France and here at Belgravia Gallery in London. She is intrigued by objects often overlooked such as dandelion seeds, bones and decaying flowers, and creates sculptures that are a lyrical version of how she sees these objects. Her 'True' series are beautiful, minimalist sculptures. 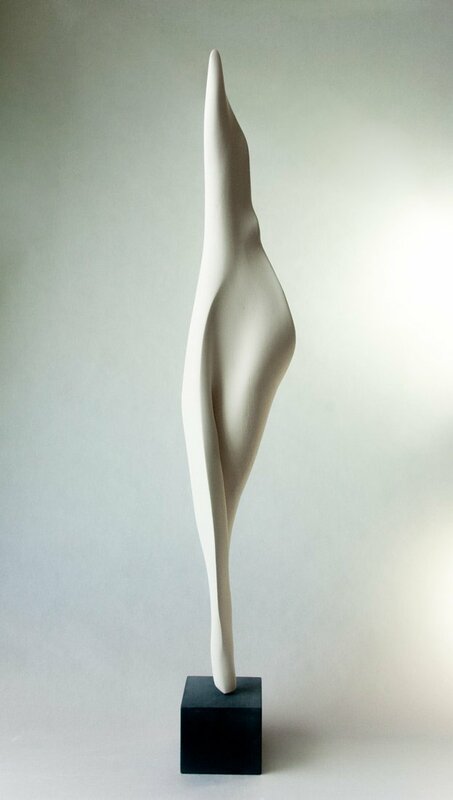 Although they are quite tall, these sculptures are made to look airy and fragile. They are inspired by the beauty in the vulnerability of the human experience.